Avant Garden AGAIN! I’ve really grown to love this stamp set! This is a CASE (copy and share everything) of this card by Kylie Bertucci. 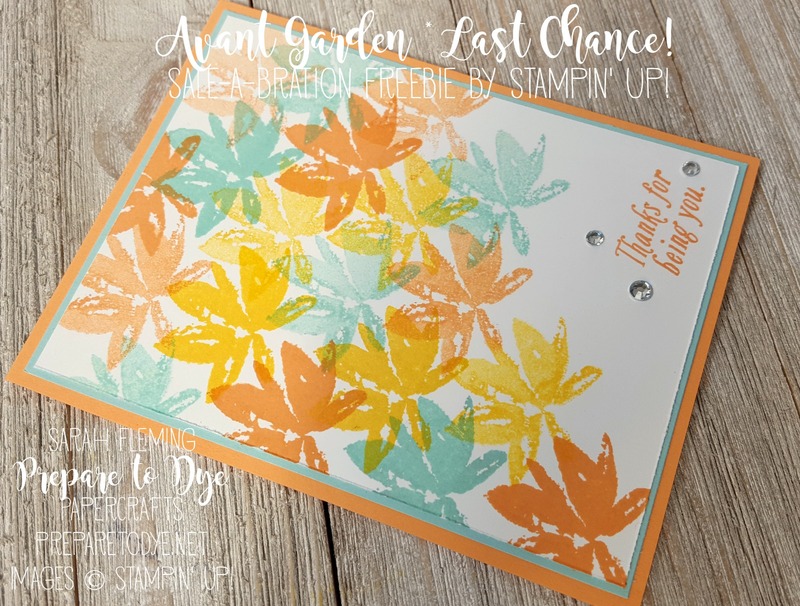 I loved it with the balloons, but as I was watching the video where she made it, I was putting away my Avant Garden stamps, and suddenly I was stamping a card. I love when inspiration hits so hard! The beauty of this card is in the simplicity. 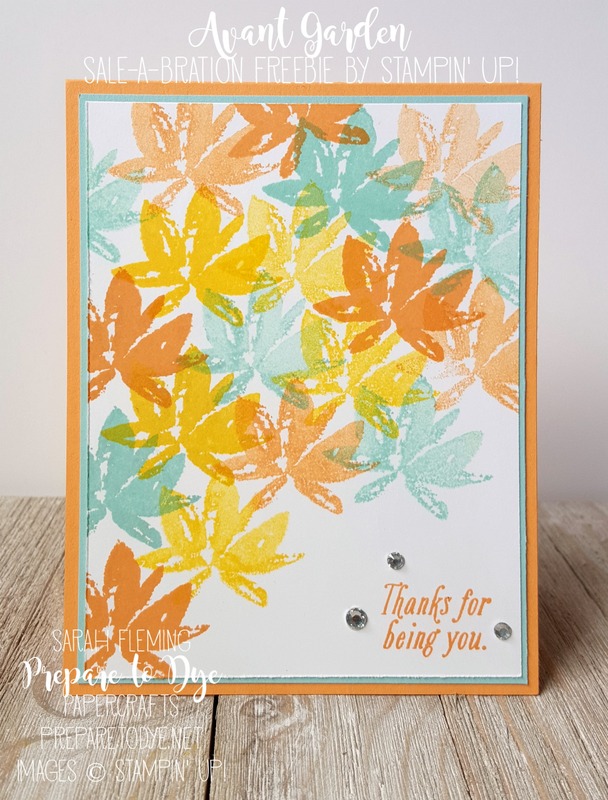 I stamped the flowers in Peekaboo Peach (full strength and stamped off), Pool Party (full strength and stamped off), and Daffodil Delight (yep, full strength and stamped off). You can still earn Avant Garden for FREE with a $50 purchase (pre-tax and -shipping)! But hurry, because Friday is the last day of Sale-A-Bration, and then Avant Garden retires forever. 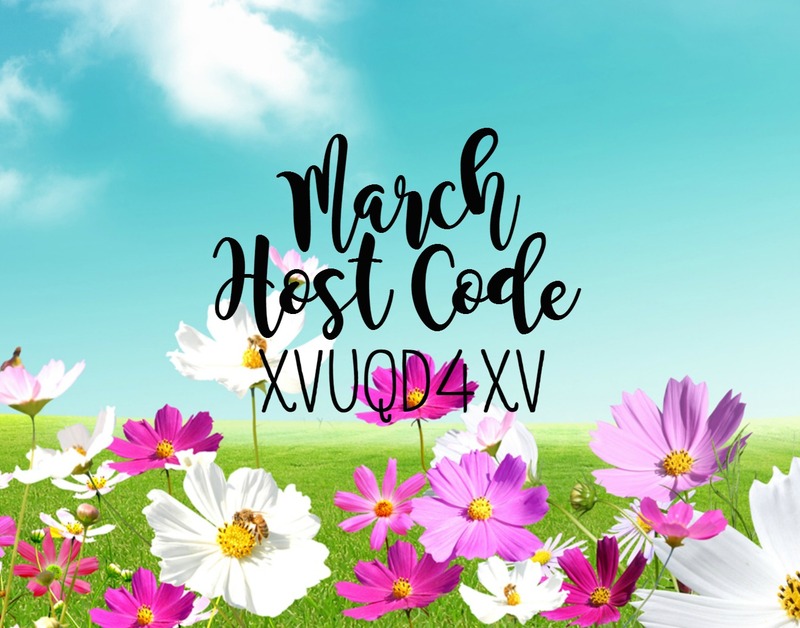 Order from my store here and use the host code (below), and you’ll also get the special gift I’m sending my March customers next week!